Maximize your exam preparation time with this quick-hit question and answer review. The unique question and single-answer format eliminates the guesswork associated with traditional multiple-choice Q&A reviews and reinforces only the correct answers you'll need to know on exam day. Emphasis is placed on distilling key facts and clinical pearls essential for exam success. This high-yield review for the boards is the perfect compliment to larger texts for intense, streamlined review in the days and weeks before your exam. This is a print on demand title and may take an extra week to ship. 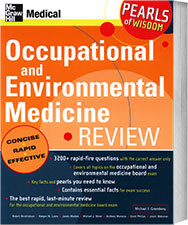 Based on the third edition of Dr. Robert McCunney's text titled A PRACTICAL APPROACH TO OCCUPATIONAL AND ENVIRONMENTAL MEDICINE, third edition, this question-and-answer review provides the ideal structured, self-paced learning guide for practicing physicians, as well as the perfect study tool for those preparing for Board certification in occupational medicine. Over 300 review questions, answers with rationale and practical test prep strategies. Now in a fifth edition, this popular occupational medicine reference offers a thorough, concise guide to the diagnosis and treatment of common occupational and environmental injuries and diseases. This three volume, 26 chapter, reference for physicians is a comprehensive work on the underlying principles of occupational and environmental medicine, central issues, and practice insights. Especially useful to review for board exam in Occupational Medicine, it is also a must have for launching physicians new to the field. Includes coverage on the scientific foundation in epidemiology and toxicology along with the often over-looked discipline of risk science, management of common medical problems, and practical issues such as management and workers' compensation. Fully revised and updated, the seventh edition of this title continues to be essential reading for students in health sciences including medicine, nursing, public and community health and other allied health sciences. Each chapter concludes with exercises and recommended reading and there are several self-assessments at intervals throughout the book. Answers to the exercises and assessments are available. Concise introduction to epidemiology. 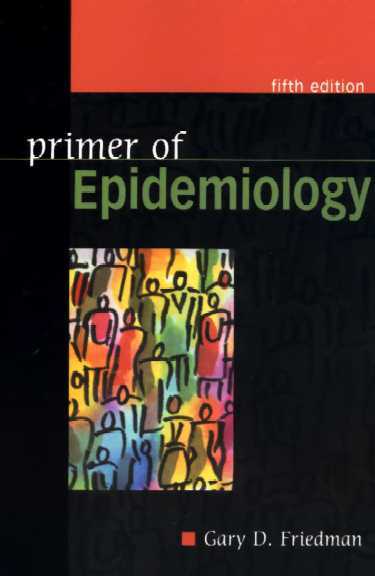 Chapter titles include introduction to epidemiology, basic measurements in epidemiology, observations used in epidemiology, basic methods of study, descriptive studies, cross-sectional studies, case-control studies, cohort studies, experimental studies, clinical studies of disease outcome, making sense out of statistical associations, introduction to multivariate analysis, how to carry out a study, epidemiology and patient care, epidemiology, medical care, and the health of the community, genetic epidemiology, quick review, and answers to problems. Recommended by the American Board of Preventive Medicine as a top review guide for its core specialty examination, this is the only textbook that combines the disciplines of medical epidemiology, biostatistics, preventive medicine, and public health in one resource. Features the latest on healthcare policy and financing, infectious diseases, chronic disease, and disease prevention technology. Includes the information you need with a clinical focus, using real-life medical examples throughout. Each chapter includes review questions making it an outstanding resource for USMLE preparation. Provides a comprehensive basic overview of the science of toxicology, including important concepts from anatomy, physiology, and biochemistry to facilitate the understanding of the principles and mechanisms of toxicant action on specific organ systems. Presented in full color, each chapter features a summary of key points at the beginning and review questions at the end. The book is divided into seven sections: General Principles of Toxicology; Disposition of Toxicants; Nonorgan-Directed Toxicity; Target Organ Toxicity; Toxic Agents; Environmental Toxicology; Applications of Toxicology. See also item 32004, Casarett & Doull's Toxicology: The Basic Science of Poisons, 8th Edition.